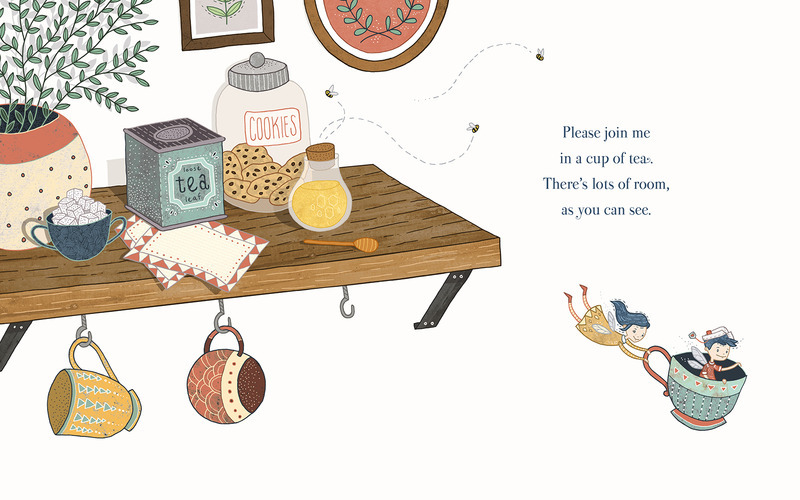 A nighttime adventure begins when two friends share a cup of tea—by jumping into the cup off a teaspoon! 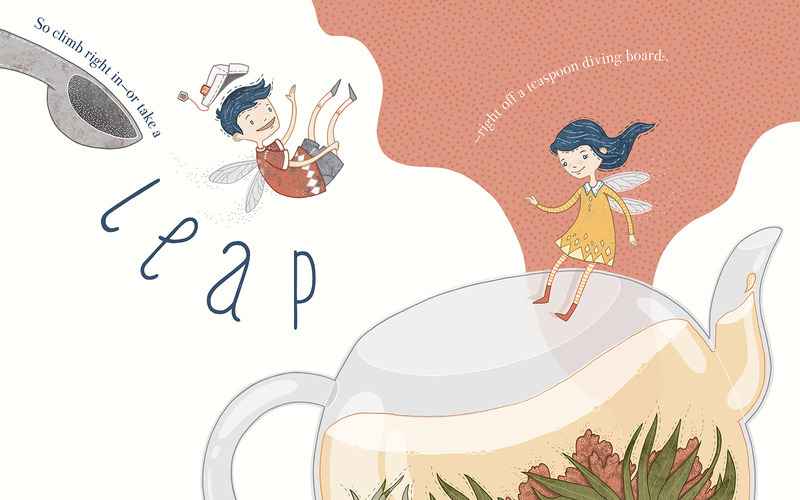 Rowing a sugar cube and sliding down a teapot spout are just some of the fun they have as they enter a land of sweet surprises. 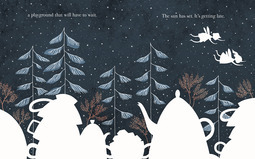 Lilting rhyming text by Tiffany Stone and gorgeous illustrations by Jori van der Linde create a classic bedtime read-aloud that brings to mind the poems of A Child's Garden of Verses.